This is a fantastic city, but I want to make it a better place to live. At the time of writing this text almost 7 weeks have passed since the local authority elections on May the 4th. A lot has happened since then, but frustratingly the city still has no administration. If newspaper reports are to be believed, however, before the end of the month Edinburgh will have an SNP led minority administration, with the Labour Party being their junior partner. As a Labour Councillor, I have found it very difficult to support this deal. This was not because I somehow “hate” the SNP. My opposition is based on the fact that I feel Edinburgh deserves to be governed by a majority administration due to the stability that would provide. There are also many concerns regarding the extent to which the deal reflects the manifesto I based my election on. Indeed, I have not yet heard from anyone living in my Ward that supports the deal – although I accept there will be support for it locally. I now accept, however, that the deal is all but inevitable and once the new administration is in place I have a duty to work with all other Councillors, including those representing Ward 8 (Colinton/Fairmilehead) with me, to make it work. I am in no doubt that in the coming years Edinburgh’s budget will be cut further. I hope that Labour’s involvement in running the Council will mean that the vulnerable are protected from these cuts. That will be my aim along with ensuring that Ward 8 receives its fair share of resources. Above all else, I want to focus on bringing good quality jobs and affordable housing to our capital. This is a fantastic city, but I want to make it a better place to live, work and bring up a family. Note: The map is from here. 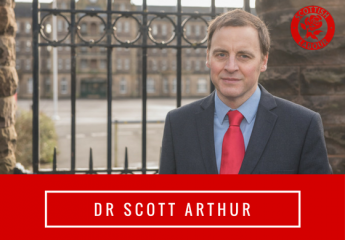 ← Edinburgh: This can’t be an administration where Labour is left implementing Nicola Sturgeon’s cuts.